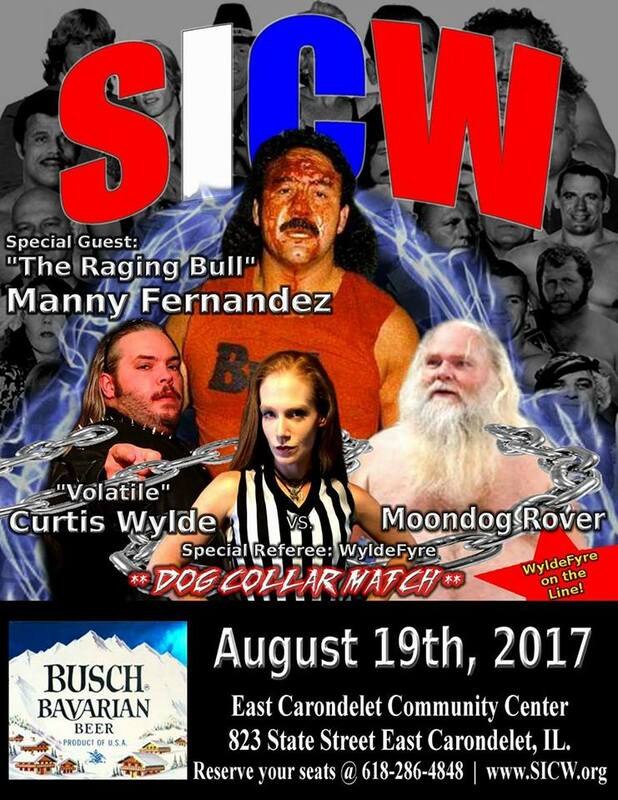 Meet Wrestling Legend “The Ragin Bull” Manny Fernandez Saturday August 19th East Carondelet Illinois. Meet and Greet 5pm show time 7pm. Call 618-286-4848 to reserve your seats. This entry was posted on July 26, 2017 at 3:43 pm	and is filed under Uncategorized. Tagged: Manny Fernandez, SICW. You can follow any responses to this entry through the RSS 2.0 feed. You can leave a response, or trackback from your own site.